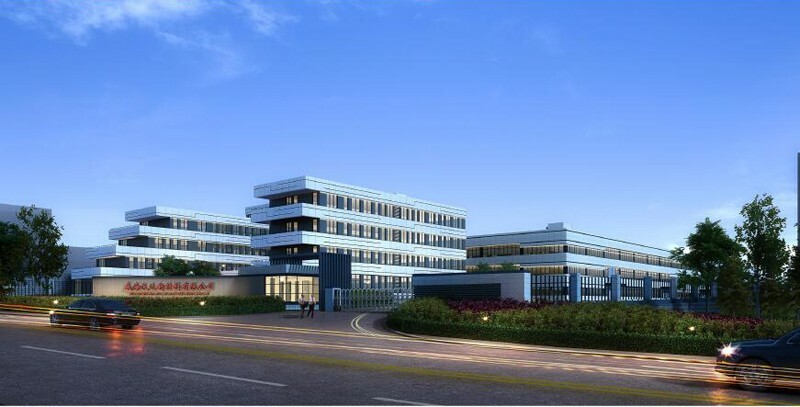 Weihai New Material Co.,Ltd begin cat food stand up bag design process with the highest-quality production line to guarantee you will be satisfied withcat food stand up bag.We offer innovative solutions for a wide range of sizes, materials, and lamination options. 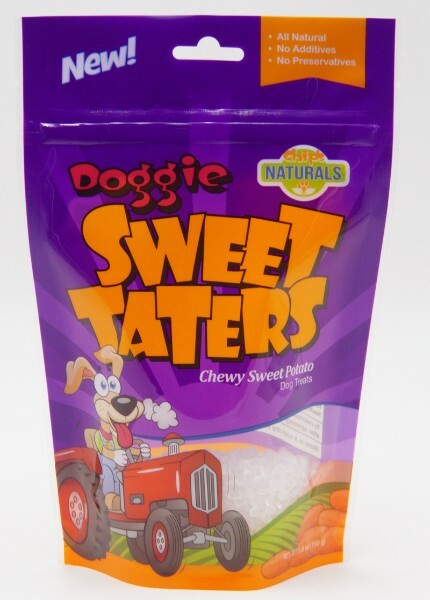 Cat food stand up bags are used to package variety of pet foods. Cat food stand up bag can protect food quality and prevent volatilization, penetration, collision and extrusion. 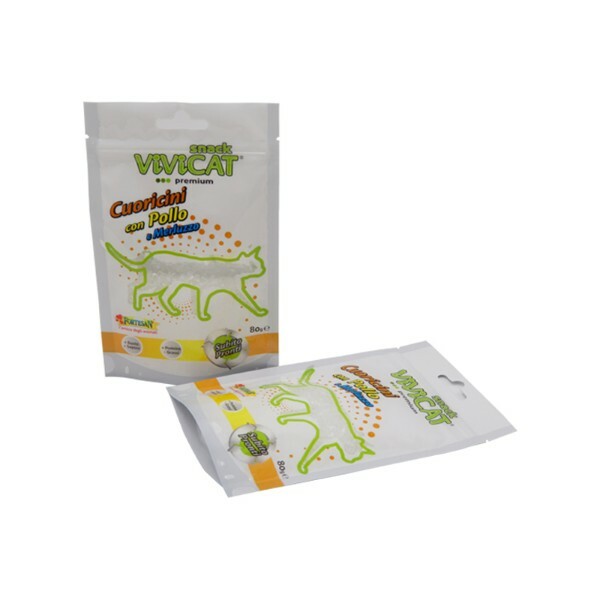 The quality of cat food stand up bag directly affects the grade of cat food. High-quality cat food stand up bag fully reflect the cat foods in them are also high quality. 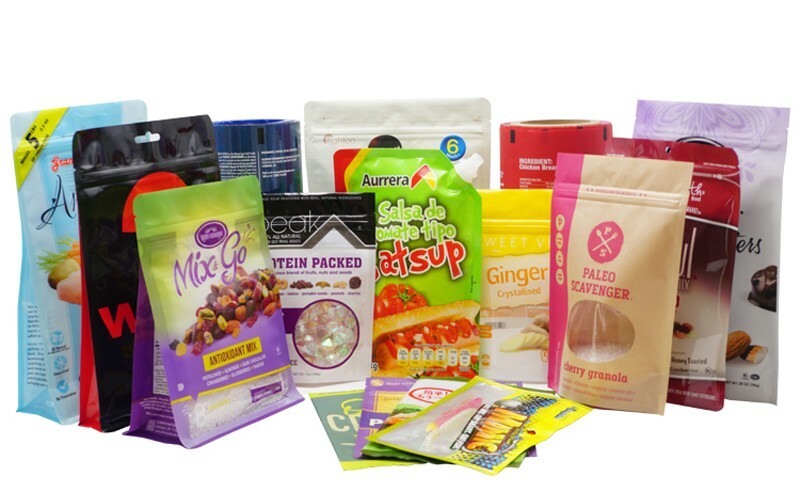 Typically cat food stand up bags are composite packaging bags which are made from two or more layers. 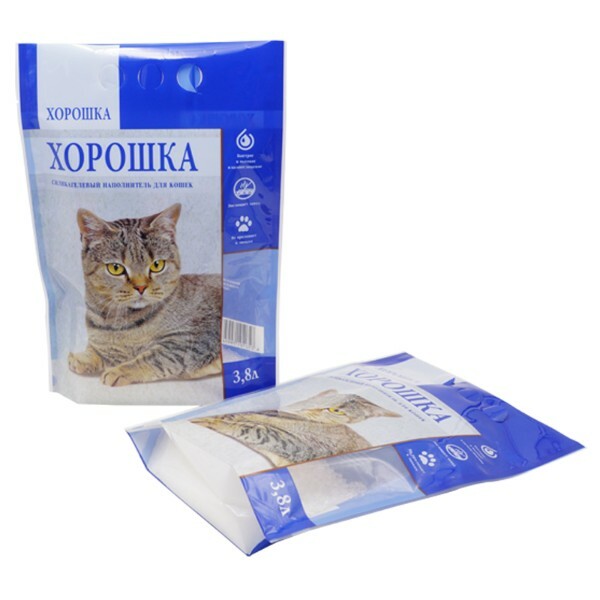 We can give reasonable suggestion on materials of cat food stand up bag according to customer’s requirement. 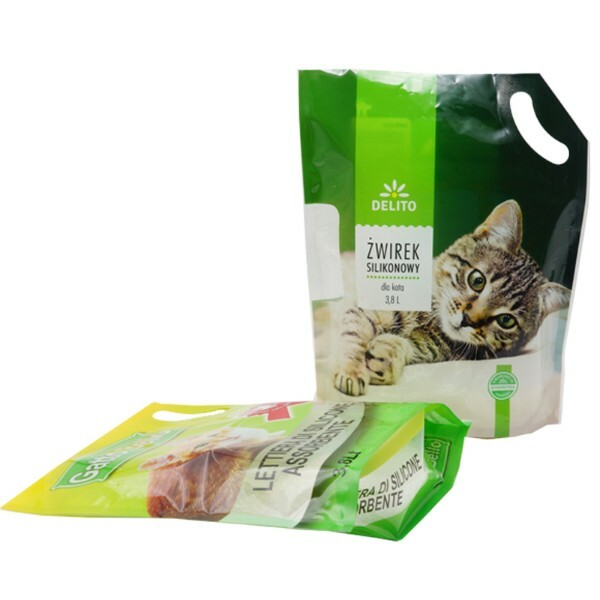 2.Printing: Gravure roto printing according to various cat food stand up bag design. 5.Thickness: Customized from 50-200micron or 2-8 mil. 1. 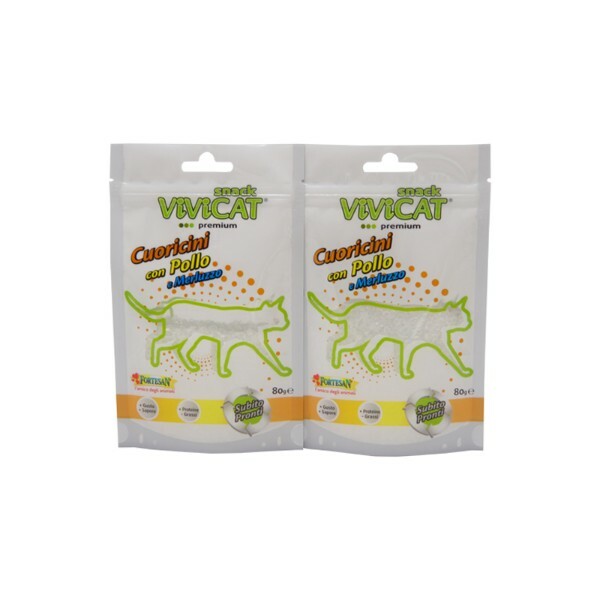 Cat food stand up bags are durable, waterproof and moisture proof. 2. 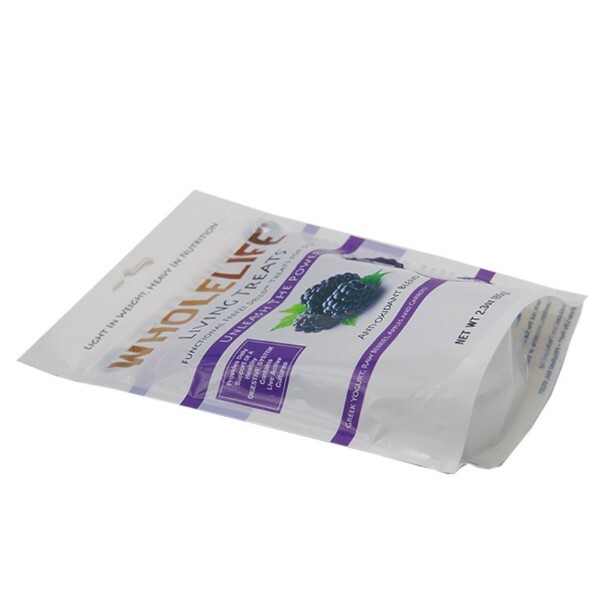 Cat food stand up bag is made from FDA approved food grade materials. 3. 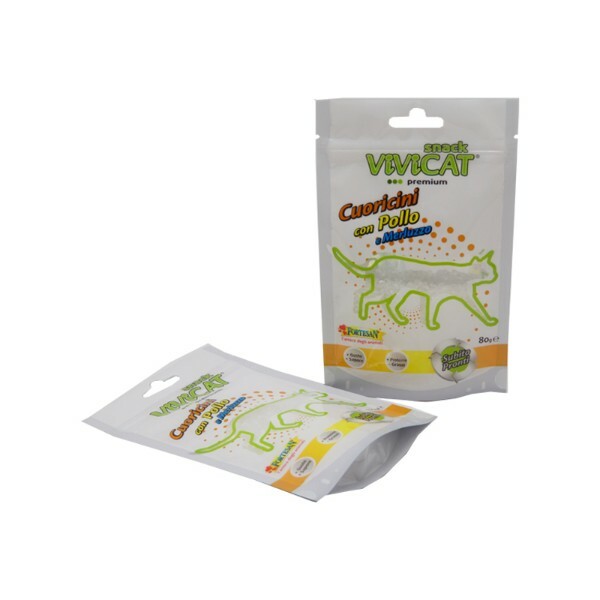 Cat food stand up bag is distinctive designed. 4. 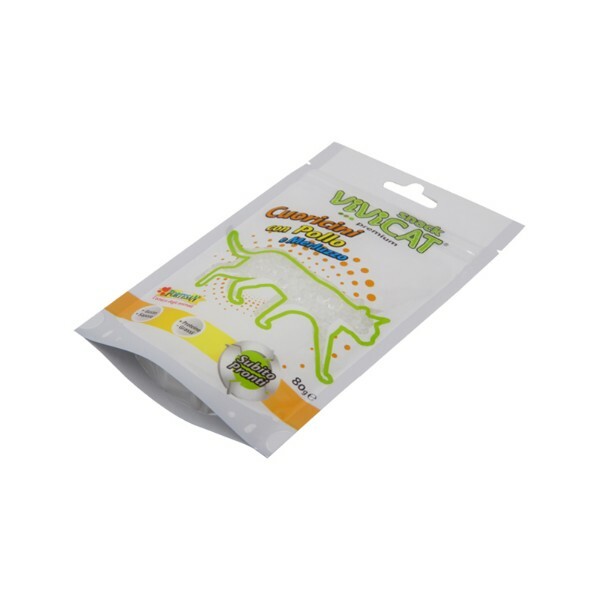 Cat food stand up bag is customized printed with customers’ own LOGO. 5. 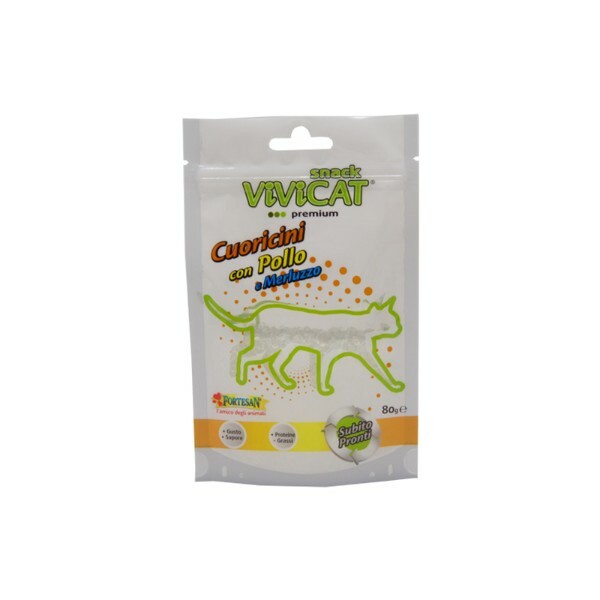 Cat food stand up bag is excellent standing effect and strong sealing. 6. Ccat food stand up bag is easy to carry, store and transportation. 7. Most cat food stand up bag is excellent moisture proof and oxygen proof. 8. There are optional reclosable zipper, laser score tear notch, hang hole on cat food stand up bag. 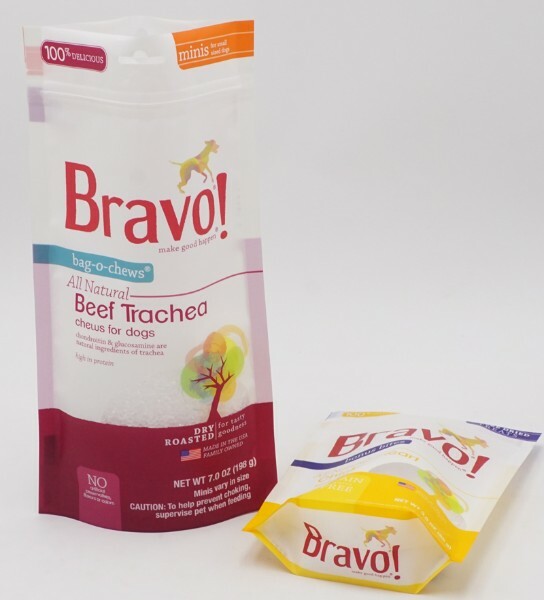 Because of so many advantages that plastic packaging bags have become the preferred packaging for many pet food companies’ first choice. 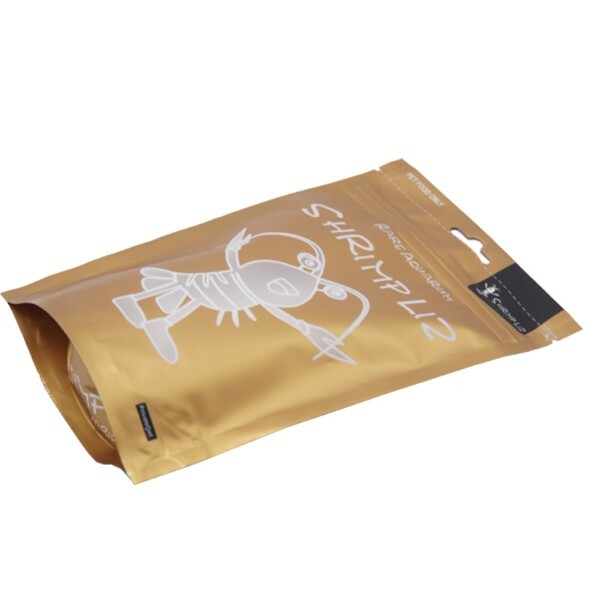 Our main products including: stand up pouch, box pouch, quad seal bag, 2-side seal bag, 3-side seal bag, bottom seal bag, spout bag, back seal bag and roll film.We can customize plastic packaging bags according to customers' various needs. 1. 30000 m2 non-dust workshop. 2. More than 100 workers. 3. 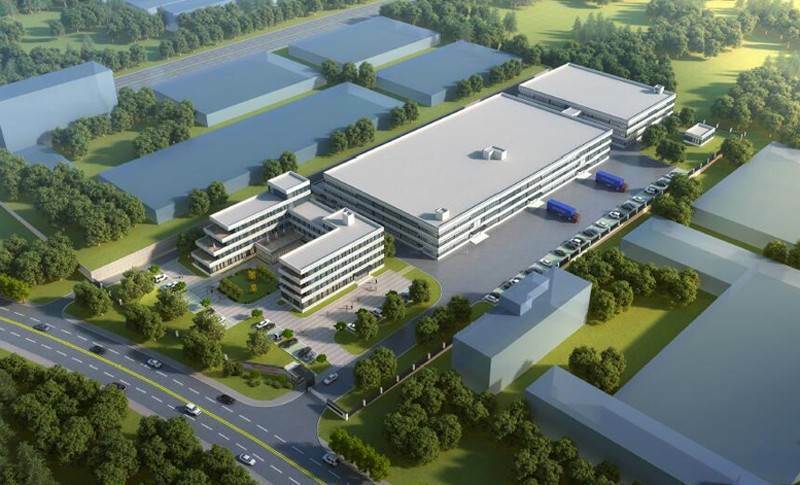 More than 17 years manufacturing and exporting experience. 4. Two hours reach Qingdao port. 1. 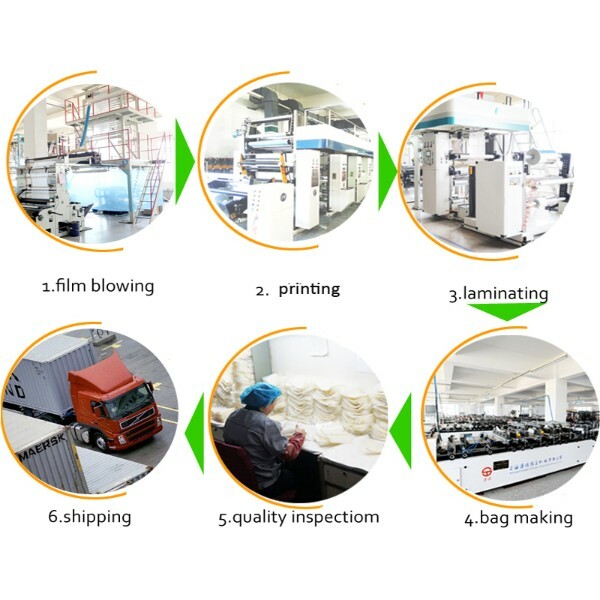 Free sample can be offered for quality checking and bag size test. 2. Effective communication within 24 hours. 3. 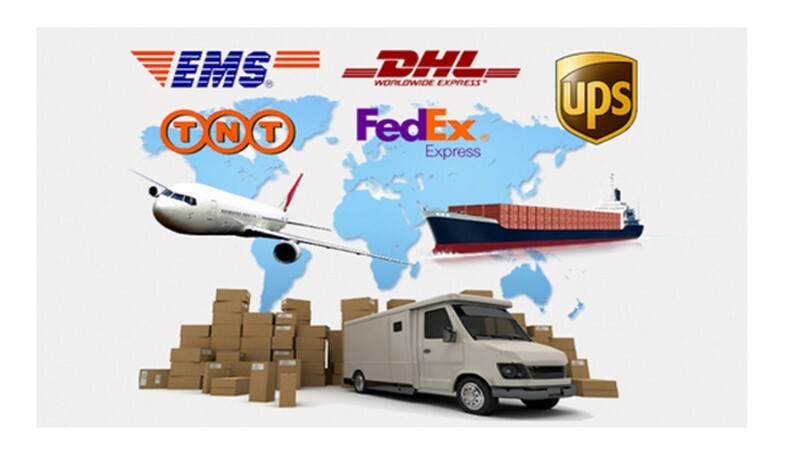 Long-term cooperated forwarder support export service. 4. Manufactures ready to be visited at any time. 5. High quality after-sales service. With over 17 years of experience in manufacturing and distribution Weihai Woda New Material Co.,Ltdsupply high quality cat food stand up bag. 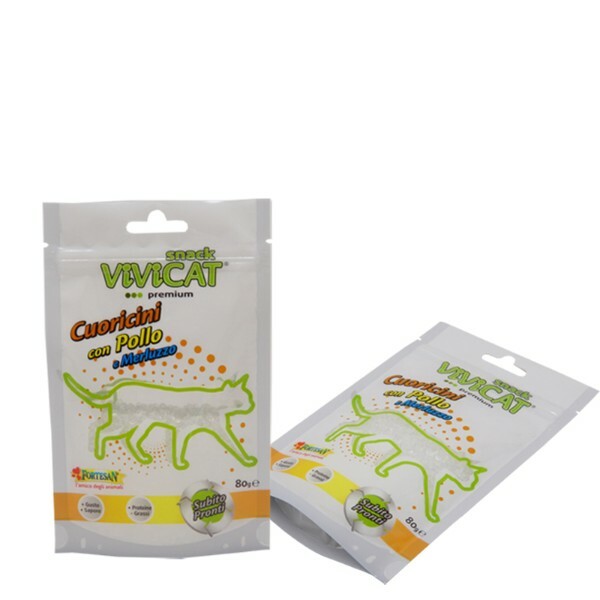 We can supply both plain and printed packaging cat food stand up bag as your requirements. If you are interested in our cat food stand up bag, I’m glad to receive your inquiry.